That goes for institutions as well as people. When a person or an institution reveals something that makes you think, “That can’t possibly be true,” don’t think that if you overlook it, the truth will go away. It won’t. I’d like to apply this insight to the way our government treated Lee Oswald. Lee’s mother, Margeurite Oswald, was right when she declared that her son died in the service of his country. The people who betrayed him, however, made him a scapegoat, and scapegoats have no one to speak for them at the time of their ostracism. They are completely alone, and no one helps them. The more you learn about Oswald, the more you understand why he looks the way he does in the photographs taken after his arrest on November 22, 1963. In particular, you come to understand the shape and expression of his lips, interpreted at the time as a smirk. The more you look in to Kennedy’s murder, the more you hear the argument, “If all those conspiracy theories were correct, someone would have talked. Where are they?” Actually, the answer to that question is rather complicated. The simple answer for our present purpose is that people have talked. Sometimes we don’t care to hear their voices. Often, they suffer ostracism and even death in the same way that Oswald did. One person who waited forty-five years to tell her story, and Lee’s story, is Judyth Vary Baker. She worked with David Ferrie, Mary Sherman, and Lee Oswald in New Orleans during the summer of 1963. In a year, every member of that foursome was dead except for Judyth Vary. We are lucky she survived, for the memoir she published in 2008 tells a story that no one else could tell. Her story explains Oswald’s fate. It exonerates him, and shows how he found himself accused of murdering the president on November 22, 1963. The title of Vary’s book is Me and Lee. Get past the cover as quickly as you can. The cover designer does not show much respect for the author, I’ll say that. The cover suggests you are about to read a roman a clef, whereas the memoir’s content contains a lot more. Vary explains, by virtue of her detailed account of Oswald and his work, why Oswald could not have been the president’s assassin. She also explains how Oswald found himself in a position where the Dallas police and the FBI could accuse him of the murder. By late July 1963, Oswald foresaw that he would be whacked, just as Ferrie and Sherman were. He did not know how or when it would happen, but he knew he was vulnerable. He worked for both the CIA and the FBI, but he could not trust anyone in either of those organizations. When the Dallas police arrested him on Friday afternoon, November 22, the arrest did not come as a surprise to him. He cried, “This is it!” as police pulled him from his seat. Imagine what Oswald’s experience was like during the forty-eight hours between his apprehension on November 22, and his murder on November 24. 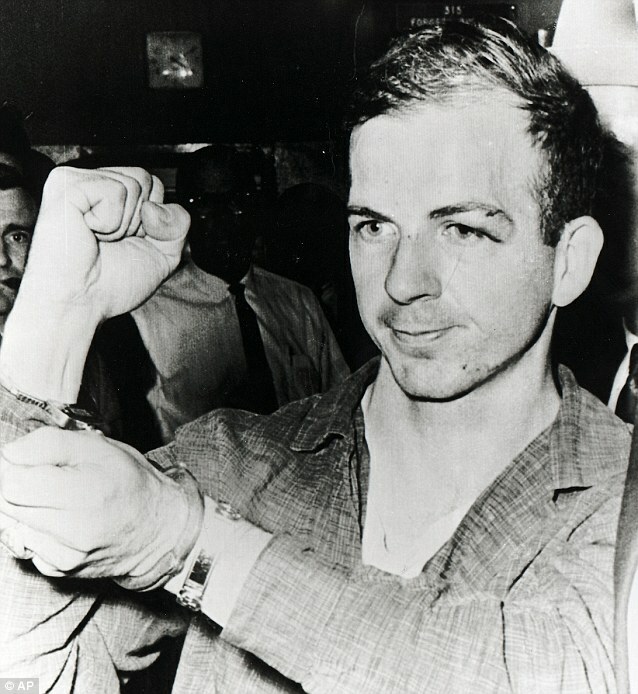 Interrogated during the night and day, beaten about the face and anywhere else the Dallas police wanted to make their mark, paraded in front of journalists as the most hated man on the planet, friendless and without counsel, Oswald had to operate on his own, and suffer unbidden infamy without assistance. Once you learn that Oswald worked for the CIA and FBI, and learn what he did for them, so many puzzles related to Kennedy’s assassination resolve themselves. Government’s account of the crime explains nothing. Vary’s description of Oswald demonstrates what kind of a person he was. Most assuredly, he was a patriot. He was not a lone nut.